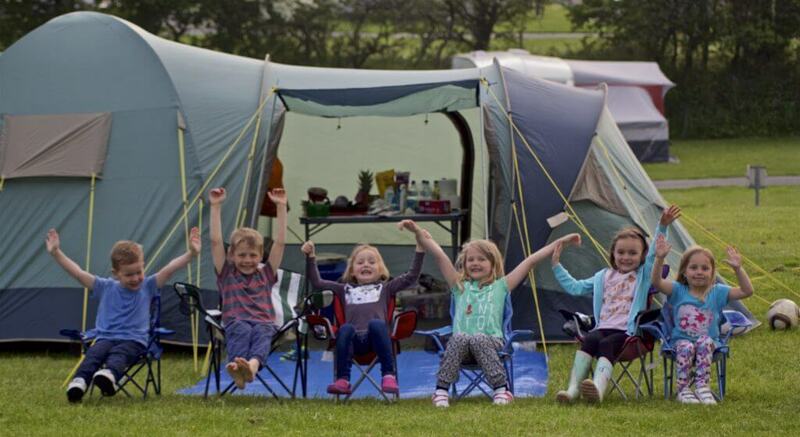 Those that have taken their family camping before could no doubt think of at least 100 reasons to go again but others might not be so sure of the benefits: Is it worth ditching your usual home comforts? Won’t it be dirty? What if the weather’s rubbish? Won’t the kids be bored? The thing is, family camping has come on a long way in the last few years. 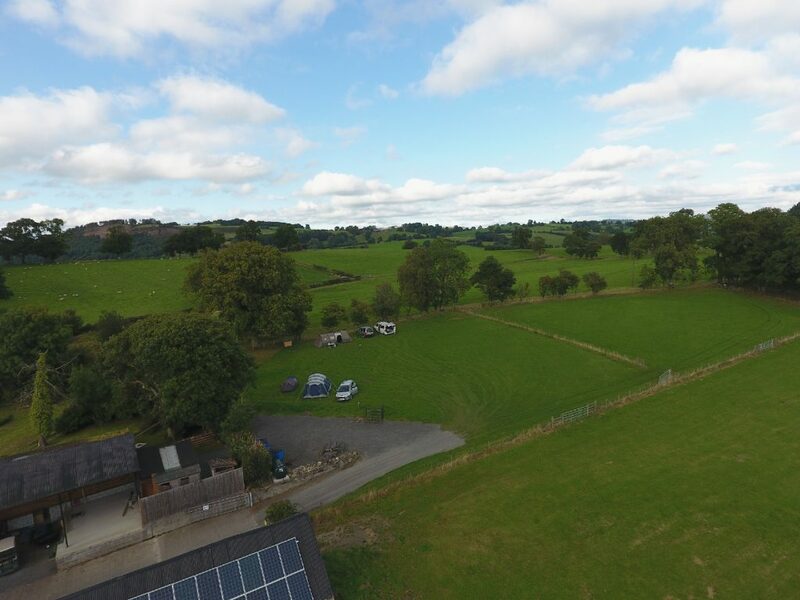 All of the above concerns are now easily dealt with at camp and glampsites that have excellent facilities ranging from washing, kitchen, entertainment, organised activities – really you can find whatever you want. But what is it about outdoors living that is so beneficial compared to just going to a hotel? When you’re on the conveyor belt of life, you can forget what having fun as a family is all about. Well, camping provides the perfect chance to offload the weight of responsibility and get silly. From singing tunefully (or tunelessly, who cares?) round the fire to riding your 5 year old’s bike (and getting chased by him) or shamelessly beating young children at Uno, there are endless options. Campers are notoriously friendly people and kids will make friends as will you. Who knows when an impromptu game of rounders or football might break out? Or when the kites will come out? You will find that the further into your holiday you get, the more you relax and regress until everyone appears to have the mental age of 9. For children, it is the freedom from the usual constraints of four walls – they can roam, run about, be by themselves or make ten new friends, discover wildlife, sing, dance, ride their bikes, basically whatever they want! Freedom from routine. When on “camping time” you just do what you want when you want. There is no alarm to obey, no work to get to so just do whatever you feel like on that day. If you want to stay at camp, do it. If you want a day out, go. If you’re hungry, eat. Just don’t look at your watch, you don’t need that. Freedom from electronic devices. These things are a blessing and a curse. I don’t doubt their usefulness in terms of researching, developing skills, etc. But is it just me that feels that whilst they are great for keeping connected generally, they also “disconnect” you from loved ones? Give a 3-year-old an iPad and you’ve lost them to Peppa Pig; give a 10-year-old an XBox and you’ve lost them to Fortnite; give a teenager a phone and you’ve just plain lost them. The good news is that camping allows you to find them again. You can have actual conversations with your teenager, play real games with your 10-year-old and make up stories with your 3-year-old. Your children are free to be children and you can make some wonderful memories as a family. Now, when taking your family camping it really doesn’t matter if you aspire to a gourmet banquet or a couple of sausages in a bap. I have a friend with a full-on converted trailer/kitchen who cooks up gigantic pots of loveliness for 20 guests and another who only takes pot noodles. It really is up to you. As far as the kids go, every meal is a picnic so you’re winning from the get-go. There’s just something so lovely about eating your meals outside. 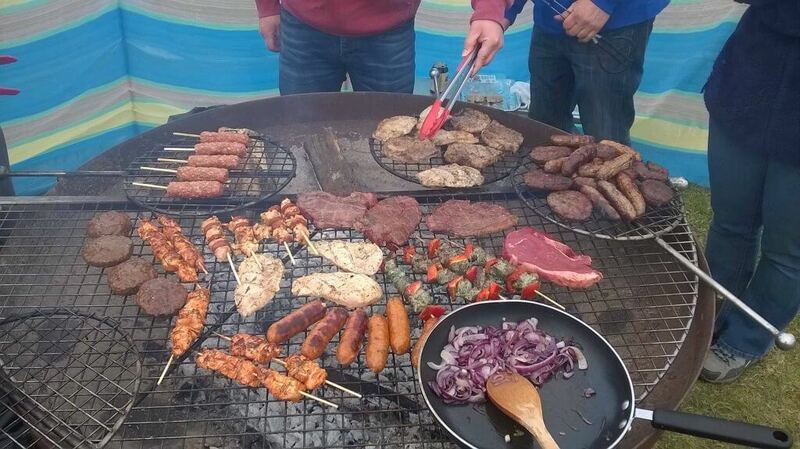 And the smells that come from a barbecue – bacon sizzling anyone? A lovely treat late at night is hot chocolate and toasted marshmallows around the fire. My main aim with this is to lull the kids into sleepiness so we can chuck them into bed and crack open the wine…works a treat! 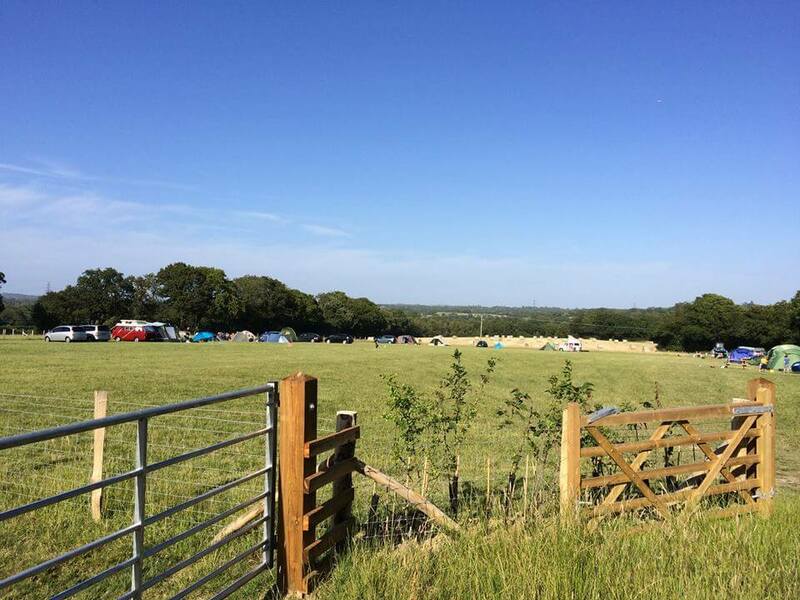 When the sun is shining, there is nothing better than camping! We had a glorious summer last year and wow, did we love our trips! The children had a feral old time, we did everything outside and everyone was happy. Did it ruin it? Did it heck! There’s something about the rain falling on your tent whilst you’re safe and snug inside it that’s quite therapeutic. You just need to make sure you have some indoor entertainment such as books, playing cards, games, drawing and colouring pencils and away you go. Or you might have made sure you found a holiday park with lots of indoor facilities for when the weather turns. You could also take the opportunity to go on a day out somewhere or just embrace it – get your waterproofs on and get out there! For most people, the driving force behind wanting to camp out is to be closer to nature and the great outdoors. From drinking in amazing views to breathing in the fresh, clean air, there’s something about it that relaxes, replenishes and re-energises. Little pleasures such as walking through wet grass in bare feet, listening to birdsong, spotting a hare running for cover help to de-clutter crowded minds. Your children appreciate the freedom to roam and will no doubt find that most magical of things – the stick – and think of all sorts of uses for it: a sword, a fishing rod, a magic wand, beating their younger sibling…hmph! But they might also be entranced by a dragonfly, spot the trail of a deer or any number of creatures, particularly if you take them with you for an early morning dog walk. A personal highlight is listening to and getting ‘lost’ in a good crackling fire. There’s a certain cosiness that comes with everyone sitting around a fire watching the sun go down. It encourages actual conversations where you remember that your partner is more than the person you order about and get cross with at home when you’re trying to keep to your manic schedule. It is a place to reminisce, to tell jokes and stories, to bond with friends and family and to make plans for your next adventure. With no work, school, clubs, appointments to get to, you will spend precious time together with your family. This might initially instil pure fear into you. However, do not panic! You will warm up to the idea as you gradually chill out over your holiday. You will not have to be a walking entertainment factory – the kids will doubtless run around happily and find their own fun. In fact, you will develop a self-satisfied glow as you watch them having a fabulous time, getting filthy (this is something you will just have to go with if you’re not used to it!) and racing back to you when they’re starving. 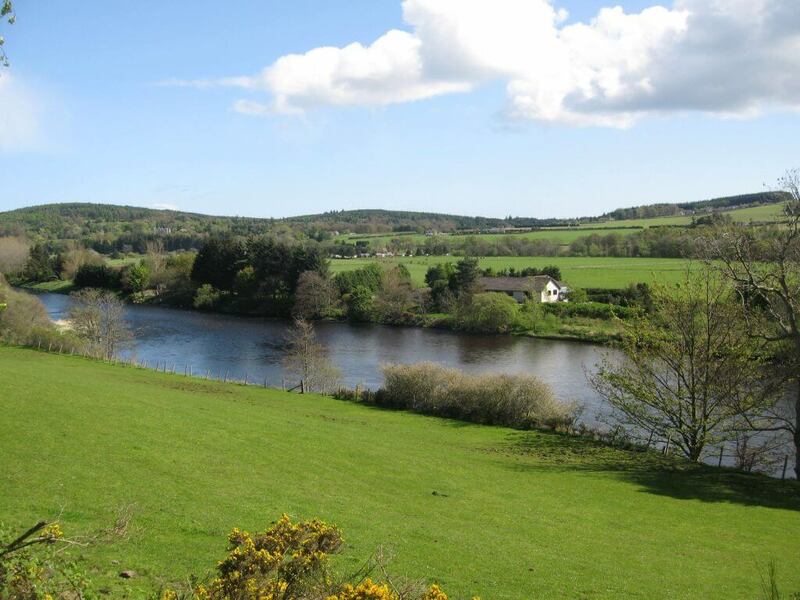 As with any holiday, it gives you a chance for days out together whether simply going to a beach, a bike ride, pony trekking or meandering around. At night, you can then snuggle up around the fire, discussing your wonderful day and remembering what a lovely bunch your family is when you aren’t nagging them to find their homework, their tie, or for the tenth time get dressed NOW! We are very lucky to live in this beautiful country and you don’t have to drive far to explore a little piece of somewhere different. 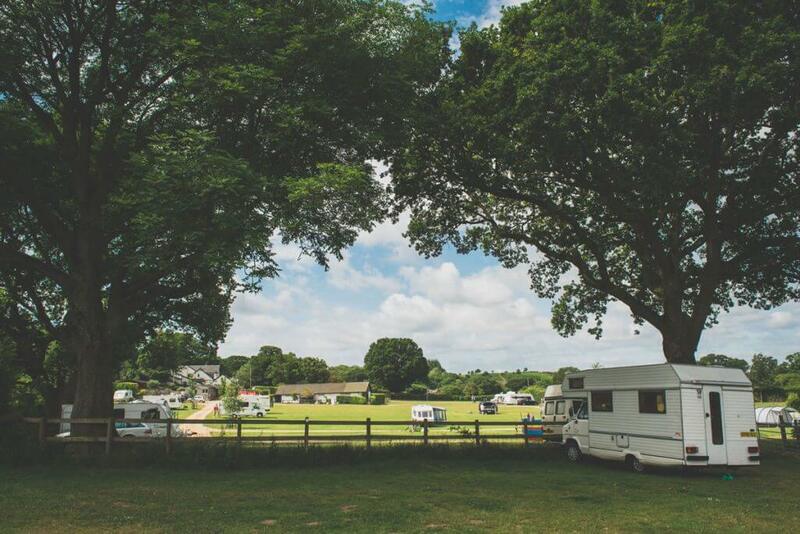 Whether you are looking for sea air, mountains, hills, valleys, vast fields, woodland, there is a campsite that will match it. Discovering new places is fun and refreshing and the change of scenery does us the world of good. 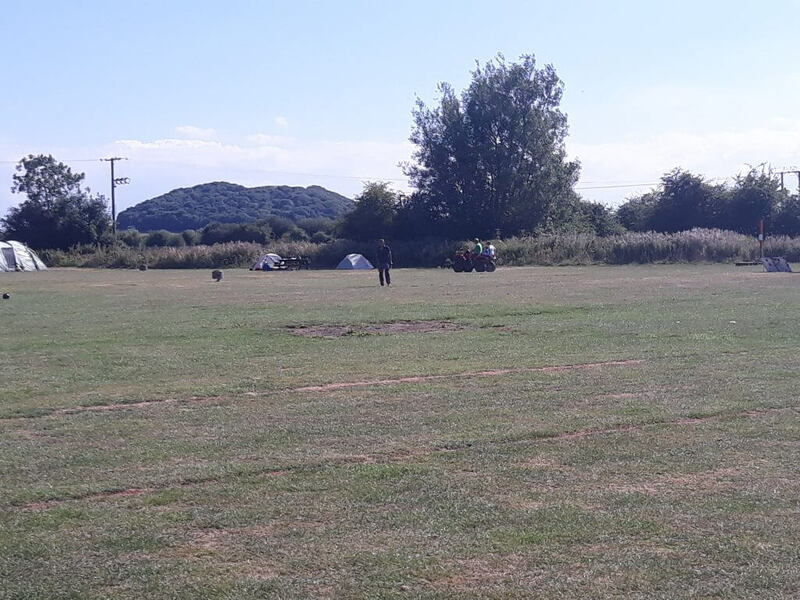 When camping, you are always close to walks and bike rides for exploring the local area, making the most of the scenery. But you might also choose to jump in your car and go and find a castle, steam train, theme park or other such adventures. You might choose to stay at your campsite and explore that thoroughly when walking your four-legged friend or letting the children guide you. They will be keen to investigate the stream, climb the trees, make a den and generally do their best to increase the burden on your washing machine…but heck! You don’t need to worry about that until you get back so just let them be feral and be glad that their immune systems are having such a boost as they wipe their muddy hands across their mouth! Outdoor living brings a certain amount of simplicity back to daily life. You ditch all the conveniences, routines, jobs and rushing around and strip it back to what is necessary: love, fun and food! 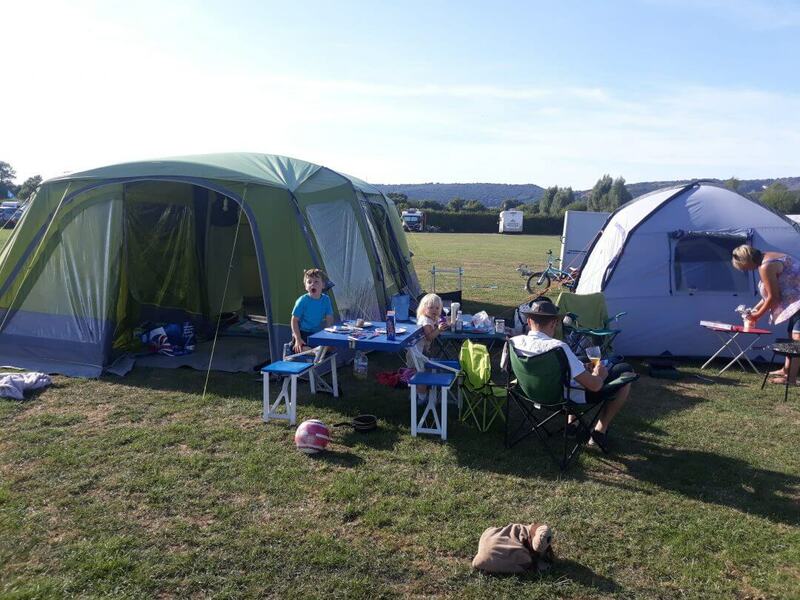 Our family camping experiences tend to revolve around food (that might be everyday life too when I think about it…) and mealtimes are so much more social. You will talk more, you will have lots of comfortable silences, you will watch your kids happily without that usual dread that comes with confined spaces or crowds, you might even read! At night, you can watch the sun go down and then star gaze without the burden of light pollution. The usual hustle and bustle feels a million miles away.